As we are heading into the business end of the Big Bash League this season, the tension is reaching out of the roof. The table toppers, Hobart Hurricanes, are set to take on Sydney Thunder in their last league fixture at Manuka Oval. They will be aiming to gain some momentum heading into the playoffs, while the Thunders would eye to seal their spot in the top four. 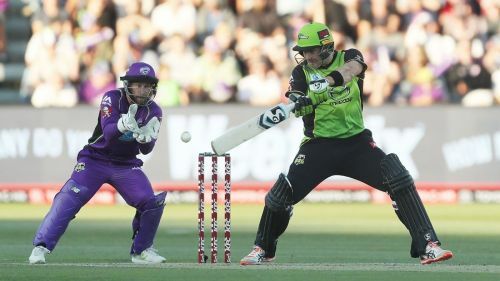 Both the sides will face each other for the second time in this season with Hobart Hurricanes winning their previous encounter by seven wickets. Sydney Thunder find themselves on sixth place in the points table with 11 points in 13 league games. They have managed to win only five games while losing seven games in the process. The Thunder have to win this game if they want to stand an outside chance of making it into the top four. Watson and co. would be hoping to bounce back after their loss against Sydney Sixers in the last game. On the contrary, Hobart Hurricanes are comfortably sitting at the top of the pile with 10 wins in 13 outings. The Hurricanes emerged victorious in their last home game against the Renegades by 16 runs. - James Faulkner has been rested ahead of the finals. - Pat Cummins, Usman Khawaja, and Kurtis Patterson have been recalled before his fixture. - Matt Gilkes comes back in after his injury. - Arjun Nair, Jono Cook, Baxter Holt, and Jason Sangha will miss out. Hobart Hurricanes: Matthew Wade (c), Qais Ahmad, Jofra Archer, George Bailey, Alex Doolan, Caleb Jewell, Ben McDermott, Riley Meredith, Simon Milenko, David Moody, Tom Rogers, Clive Rose, and D’Arcy Short. Sydney Thunder: Shane Watson (c), Fawad Ahmed, Pat Cummins, Anton Devcich, Callum Ferguson, Matt Gilkes, Chris Green, Chris Jordan, Usman Khawaja, Nathan McAndrew, Kurtis Patterson, Daniel Sams, and Gurinder Sandhu. Hobart Hurricanes: Matthew Wade, Caleb Jewell, Ben McDermott, George Bailey, D’Arcy Short, Simon Milenko, Qais Ahmad, Jofra Archer, Riley Meredith.